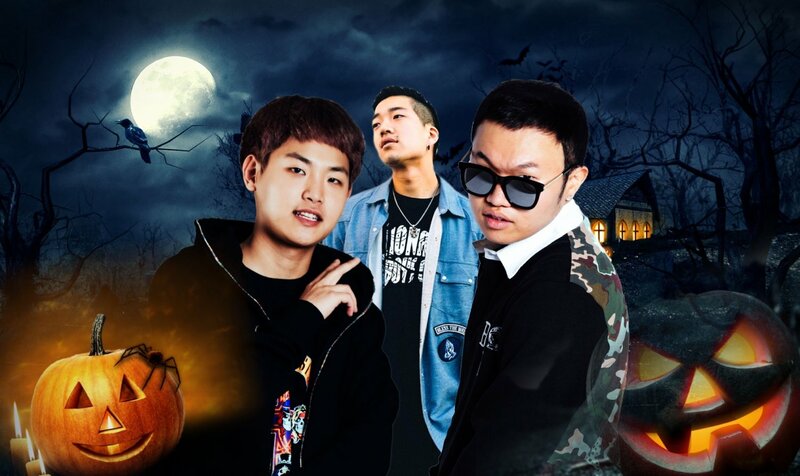 Superbee, Junoflo and myunDo will be throwing it down at Hustle in an exclusive live Halloween appearance. Get discount early entry tickets at Tourbrat.com. Halloween, it’s a time for ghosts and ghouls, candy and costume contests; but more important crazy parties! Hustle will give you nothing short of all of that, but we have something very special to add to candy, costumes contests and crazy parties… live performances by not one, not two, but THREE rising Korean Hip Hop stars. Superbee, Junoflo and myunDo! All three rappers caught attention this year as contestants on Show Me The Money 5, where Superbee ended up winning third place. Signed by Dok2 and Tiger JK to their new record label, Ghood Life Crew, these three artists are set to blow the brains out of your zombie outfit. So make sure you get your tickets NOW, but this event WILL SELL OUT. The night will start of with DJ Tom Slick weaving classic Hip Hop and R&B tracks with the newest and freshest songs. Following up is Bora. She will keep the vibe fun and lively with popular party tracks that everyone can dance to! The main event is of course Superbee, Junoflo and myunDo, once the their performance is finished, Pinnacle TheHustler will drop the bomb and slam the crowd with hit after hit of the best in Hip Hop and R&B! Next up is DJ Dunk followed by DJ Blaze that will play all the songs that you love and remixes that will keep you shaking your booty until 6am in the morning! See you on Oct. 29. P.S. We have special prizes for the winners of the costume contests.